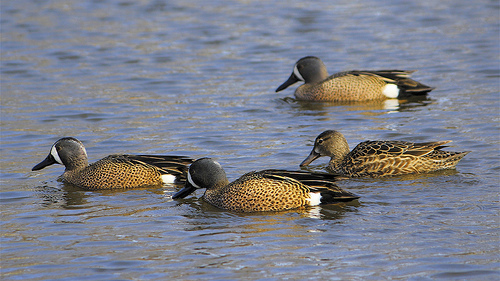 The Blue-winged Teal is an American species. 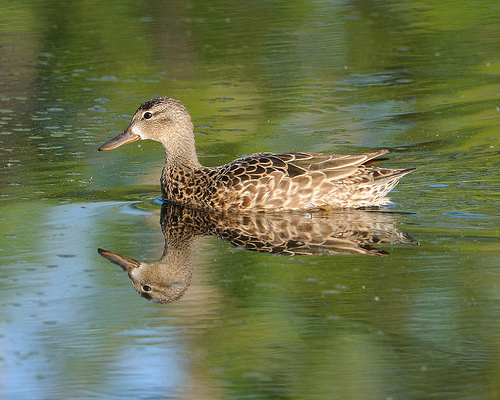 Sometimes it crosses the Atlantic, sometimes it escapes from European duck-collections. It has beautiful and remarkable blue wings.